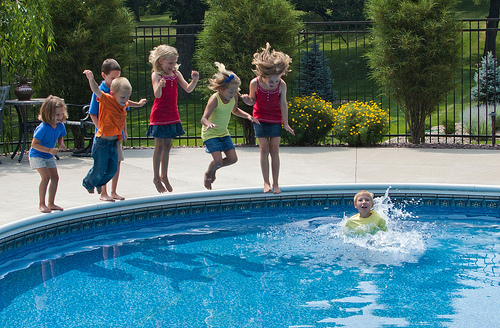 If Your Child Was Drowning…Would You Recognize It? I have read this before but every summer it really is something that I read over again to refresh my memory of how easy it is for anyone to drown even when there are a lot of people around…like in a crowded pool with lifeguards present. If you and your children are around water in the summer months please take time to review what drowning actually looks like…it can be a very quiet, silent accident. When your children are in the water they need your attention…so it is not a time to be on a cellphone or to be in a deep conversation poolside. Little ones can drown so easily and get into trouble in the water so quickly that taking your eyes off of them even for a second can make a dangerous difference in being able to rescue them or not. Review water safety with your children and have a safe summer. via Rescuing drowning children: How to know when someone is in trouble in the water.. This entry was posted in Family, Grandmas & Grandpas, Kids, Moms & Dads, Safety and tagged kids and drowning, Water safety by llpitlwp. Bookmark the permalink. Very good information! I discuss swimming on my blog every summer!